Mini sweet peppers are small in size, averaging seven centimeters in length and have an elongated, uniform shape that tapers slightly to the non-stem end. The petite peppers range in color from yellow, red, to orange and the skin is smooth, thin, glossy, and firm. The flesh also matches the color of the exterior skin and is crisp and juicy. Inside the flesh, there is a hollow cavity with little to no seeds and a few interior lobes. Mini sweet peppers are crunchy with a mild flavor that is sweeter than regular sized bell peppers. Mini sweet peppers are available year-round. Mini sweet peppers, botanically classified as Capsicum annuum, are small, edible fruits that are members of the Solanaceae or nightshade family. 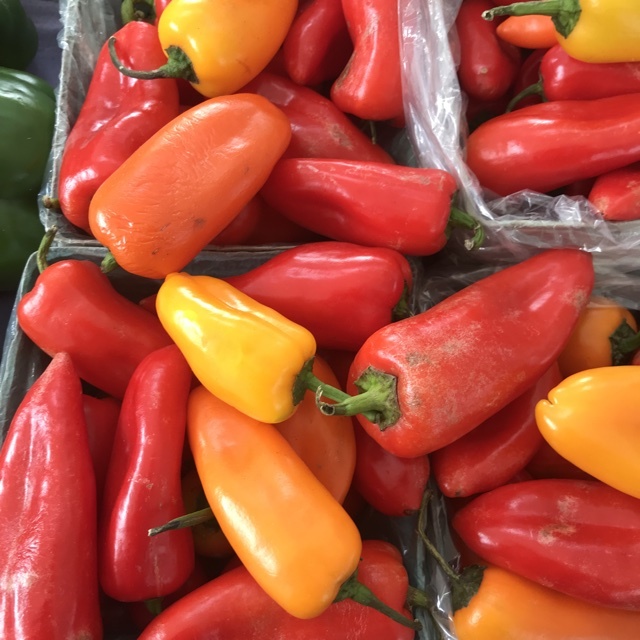 Originally from Central and South America and believed to be a hybrid from the wild bird pepper and bell peppers, Mini sweet peppers are grown on small bushes and are favored for their small size, bright colors, and sweet flavor. Mini sweet peppers contain some vitamin C, vitamin A, potassium, and fiber. Mini sweet peppers are best suited for raw preparations as their sweet flavor is showcased when used fresh. The peppers can be sliced and displayed on vegetable trays, tossed into salads, layered in sandwiches, chopped into salsa, stuffed with cheese, rice, or cooked ground meats, or mixed into pasta dishes for added texture. They can also be roasted and added to soups or stews, cooked into an omelet, or used as a sweet topping on pizza. Mini sweet peppers pair well with olives, garlic, lentils, quinoa, onions, oregano, tomatoes, Greek yogurt, ground beef, cheddar, feta, garbanzo beans, and black beans. The peppers will keep up to one week in the crisper drawer of the refrigerator. 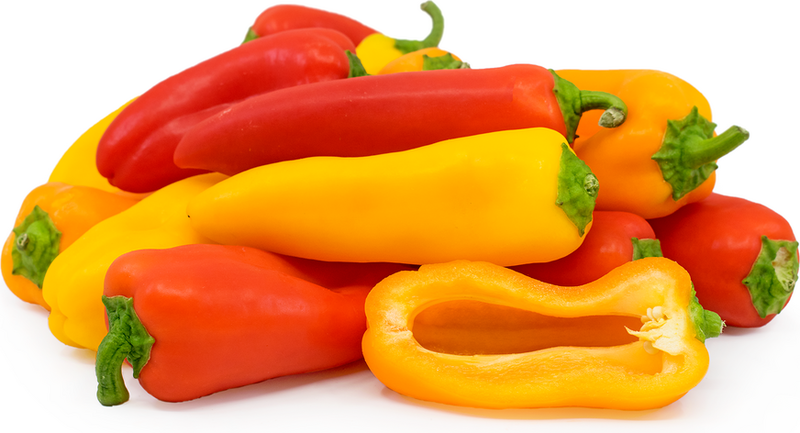 Mini sweet peppers are most commonly sold in mixed variety packs to showcase the bright colors. Their small size also makes the peppers suitable for bite-size snacks and their sweet flavor for fresh eating. Mini sweet peppers are grown in Mexico's western coastal states, Baja California, and Florida.  Today they can be found at farmers markets and specialty grocers in the United States, Mexico, and Central America. Recipes that include Bell Peppers Mix Mini Sweet. One is easiest, three is harder. 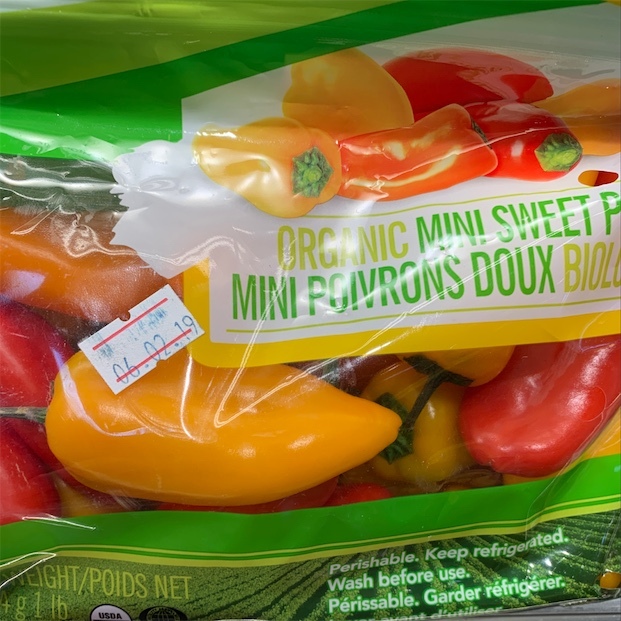 People have shared Bell Peppers Mix Mini Sweet using the Specialty Produce app for iPhone and Android. 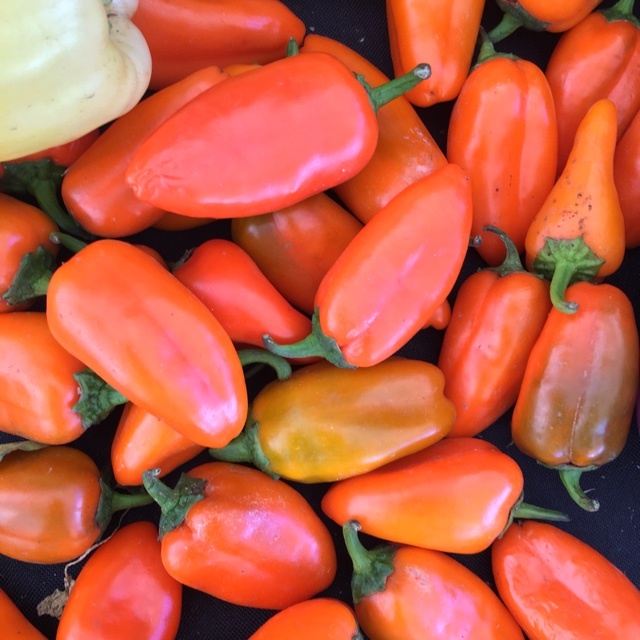 Sharer's comments : Mini Sweet Bell Pepper Mix spotted at Brentwood Farmers' Market. Sharer's comments : Mini Sweet Bell Pepper Mix spotted at First Alternative Natural Foods Co-Op. Sharer's comments : Mini Sweet Bell Pepper Mix spotted at Dunedin Green Market.